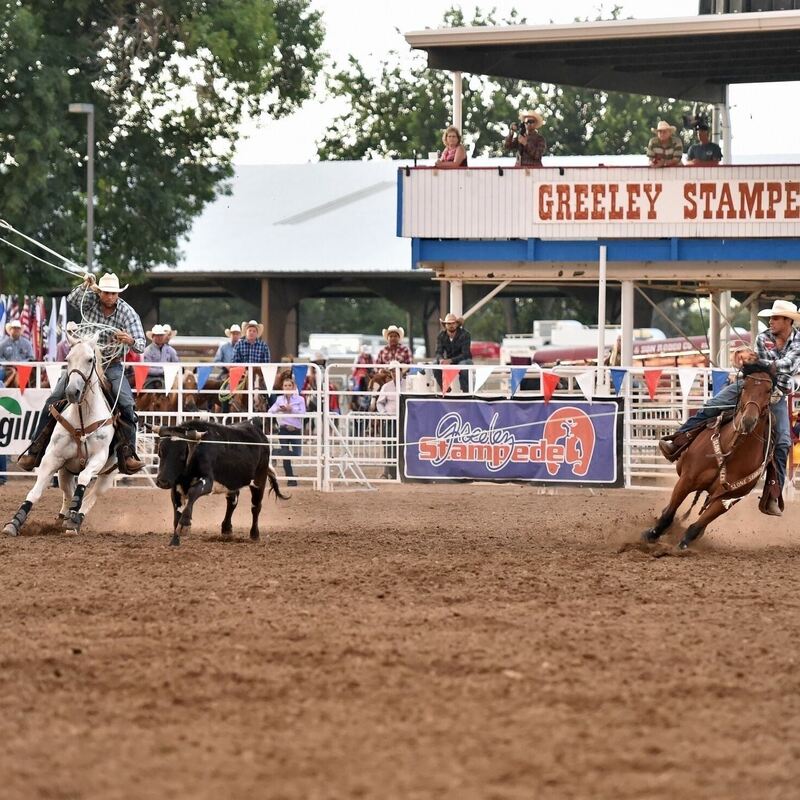 The Greeley Stampede Teigen Finnerty Memorial Team Roping Classic is a jackpot team roping taking place in the Stampede Arena. To enter, please contact Gary Rodarmel with 5 Flat Productions at 970-846-7825 or 5flatproductions@gmail.com. This event is FREE for spectators with park admission. Team Roping Classic The Greeley Stampede Teigen Finnerty Memorial Team Roping Classic. Free for spectators.